One of the easy ways you can buy Kenya Power tokens is through the Dynamo Tokens paybill number. You can do so by using the paybill number 800904 on your M-Pesa. 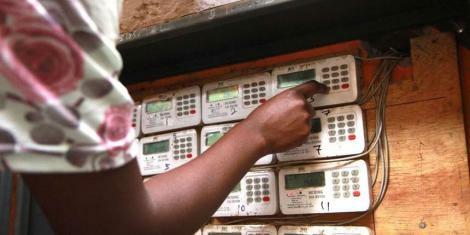 Below are some of the reasons as to why you should choose Pawa to pawa your electricity bills. Instant reconnectionThere’s no need for you to wait hours for reconnection after you’ve bought electricity tokens. We’ll have you get back to business as usual with our instant reconnection after payment. Track your electricity consumptionThe Pawa App enables you to track your daily unit consumption thus helping you to plan for your electricity bill well. Instant loanWe are there for you during your difficult times, lending a helping hand with our ‘Kopa Tokens’ loans. Get an instant loan and buy electricity tokens. Knowledge of system downtimeIf you knew the systems were going to be down in advance, what would you do? Pawa will enable you become the ultimate planner empowering you to organize your actions to ensure minimum losses. Push a bill for someone else to pay on your behalfA truly unique benefit that Pawa grants you is the ability to have a loved one or friend pay your bill on your behalf. Perhaps before you consider taking out a loan you can pick up the phone and call a friend. E- WalletTransfer money from your mobile money account to your E-Wallet and ensure that you don’t end up spending the money set aside to buy token for anything else. With money in your E-Wallet you can buy tokens even when the MPESA system is down. Pay electricity for several meter numbersIf you are in charge of buying tokens for several meter numbers then Pawa is the product for you. Because, with Pawa you can register and buy tokens for several meter numbers hustle free. Personalise how you save a meter numberIt’s very hard to memorize and remember meter numbers more so if you have several meter numbers. Personalise how you register meter numbers i.e Mum, and save yourself the misfortune of buying tokens for the wrong meter number. Your information is safe with us because the Pawa system is very secure. Information on your phone cannot be accessed by any other party or app. The Pawa app also has end-to-end encryption to prevent your information from falling into the wrong hands. We also require you to login into your account with a secret PIN of your choosing to prevent others from gaining access to your data.